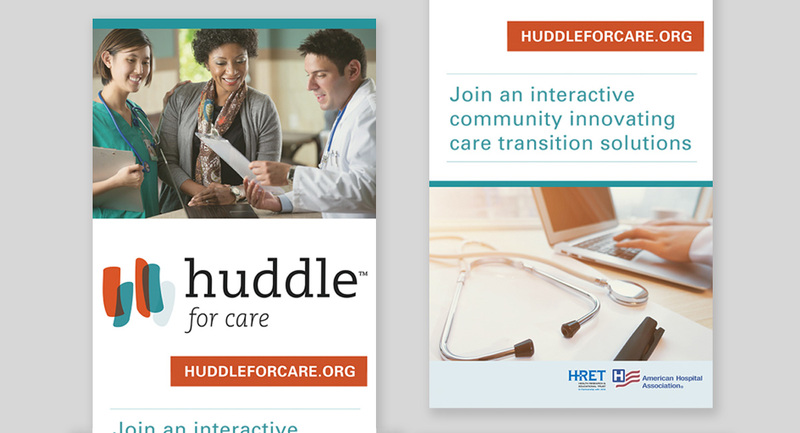 Health Research & Educational Trust’s Huddle for Care program is a forum in which transitional care program implementers can share stories and effective tools online. 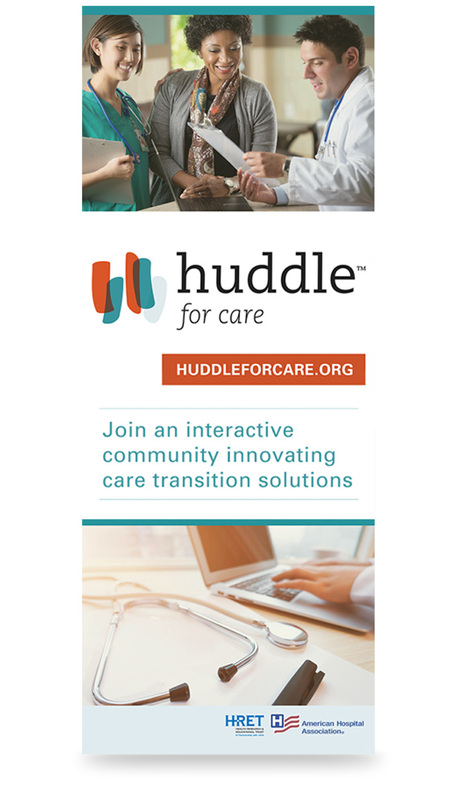 The goal of this project is to build a community of care transitions professionals and to nurture support and collaboration across the national community. We designed this exhibit display banner to illustrate the openness and sense of community and caring of the program.